DIY Infared Sauna Kit. 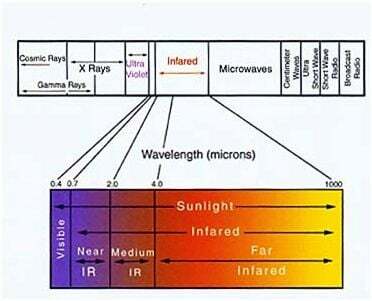 Complete Infared Sauna Package. 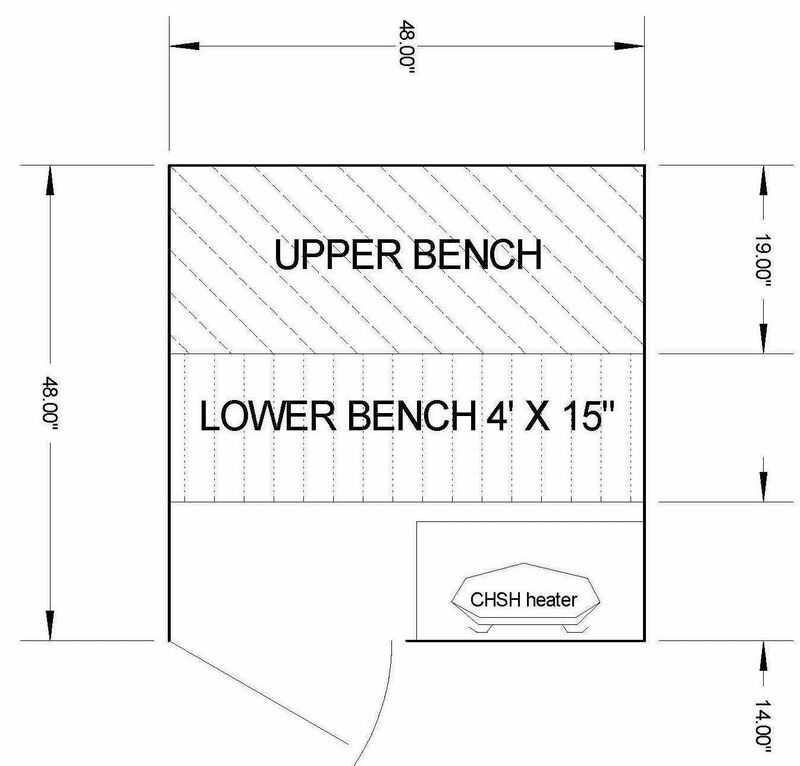 4' x 4' Sauna Room with 1800 Watt IR Sauna Heaters. 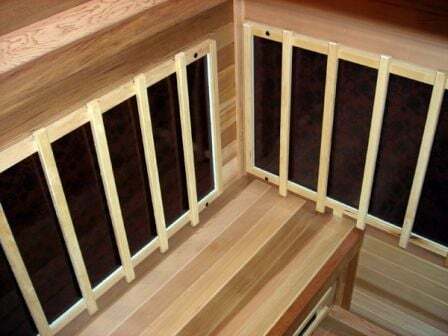 Complete Infared Sauna kit for pre-framed 4' x 4' room. 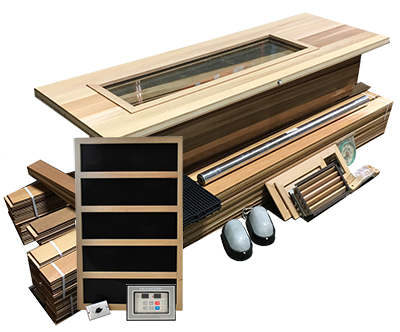 Includes insulated cedar sauna door with tempered glass window, brass door hardware kit for rough opening 26" x 78". 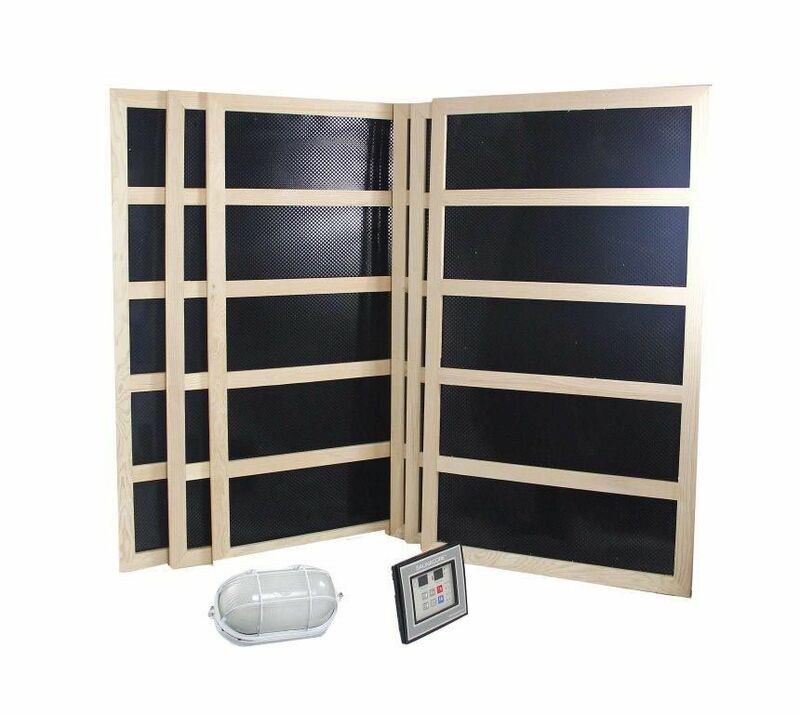 Includes complete Infrared Sauna Kit (1800 Watts) with digital timer. Full A+ Better, Clear kiln dried T & G Western Red Cedar 7' length boards for vertical installation and ceiling. Clear western red cedar for walls and benches (upper and lower 19" deep benches). 2 x Light kit, thermometer, aluminum vapor foil, vent kit included, heater guard, floor interlocking PVC tiles. Full Installation manual. For Room Dimensions: 48" wide x 48" length x 84" high.